For Shoyoroll enthusiasts that meant waiting patiently by a computer for the most anticipated gi release of the year. Batch 38 for those of you who aren’t Shoyoroll enthusiasts is the collaboration between rvca and the Mendes brothers as well as the gi brand Shoyoroll. Batch 38 has been in the works for a while now and Rvca owner and founder Pat Tenore makes sure his brand delivers good product so partnering with the most sought after gi company on the market with Shoyoroll only made sense. This gi was released in 3 color ways of white, blue and black however with Shoyoroll being a company that delivers gi’s in a limited release online approach, getting your hands on one of these is tough but well let you decide if it’s worth it. With one gi already designed for BJJ podium powerhouse Art of jiu jitsu, another unicorn was on its way. June 23rd 2015 at 10 am PST time, batch 38 was released online at Shoyoroll.com. 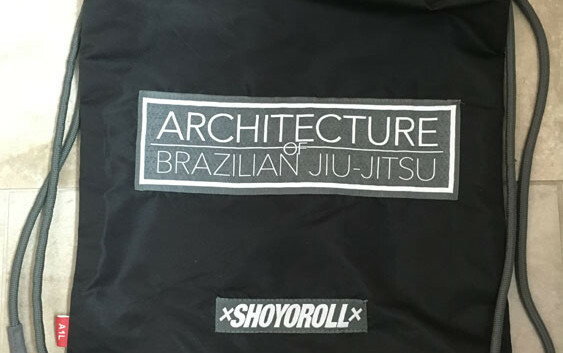 Furthermore we’ve detailed a review that should provide some insight for those curious in investing in a premium limited release gi from Shoyoroll. 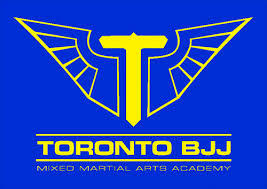 As mentioned in the intro, the companies of two longtime practitioners of jiu jitsu and entrepreneurs designed this gi. Pat tenores lifestyle brand rvca, Vince “bear” quitiguas exclusive gi brand Shoyoroll in collaboration with jiu jitsu phenoms rafa & GUI Mendes designed a gi that had the characteristics of quality and appeal in mind. The Mendes brothers and pat tenore created one of the successful and modern designed bjj gyms called the Art of Jitsu located in California and are big supporters of Shoyoroll so Batch 38 was sure to have the same success. The gi top is made out of a lightweight 450g pearl weave fabric that is standard in most shoyorolls because of its durability and lightweight properties. I wear an A1L which is an in between size that shoyoroll features for people who have a tall and lanky body type. The gi top features the standard shoyoroll patches on the arms that feature the slogans of the Mendes brothers. I really like the lightweight pearl weave especially when it’s hot. The gi top breathes easy and fits really well. It also didn’t shrink much if any after a few washes but that is also because I cold wash all my gi’s to prevent shrinking. A1L is dead on in terms of fit for me and im 6’1 and 150 to give the reader an idea. The pants that are featured in Batch 38 are lightweight twill cotton, which is my favorite choice of fabric used in gi bottoms simply due to the fact they are light. The pants feature a rvca patch on the bum that is best seen when inverted for all you berimbolo guys out there. The pants also feature a Mendes brothers patch on the right pant leg. In the crotch area is also twill cotton is stitched well for reinforcement. With most shoyoroll gi’s, the knees are reinforced because most problems that occur in pants are in the knees from wear and tear. The pants also feature shoyorolls standard loop and draw string which makes life a lot easier. My pants did not come undone which even after an open roll was a good testament to the quality. Batch 38 lived up to the hype. This gi was special to me because batch 38 was a gift to myself for when I got my blue belt and I made a promise to myself to not wear it until I was promoted.Positives about the gi were its light weight properties in the gi top and pants during rolls. Both the pants and top breath well and don’t feel heavy after rolling as some gis feel like concrete after. The gi is stylish and I was really impressed with the pants as they were light weight and did not come undone. Being a person that is in between the generic gi sizes of A1 and A2, the fact that shoyoroll creates a size that is essentially made for people like me really helps me out because fit is very important for me. Now if you want to feel a little more like Rafa and Gui then this gi is for you but hard work gets you good and not what you wear.